Over the past month, we have significantly enhanced ‘Private Report’ functionality in Yellowfin’s Business Intelligence solution. How has Private Report Functionality changed? Existing Public Reports can no longer be made private. 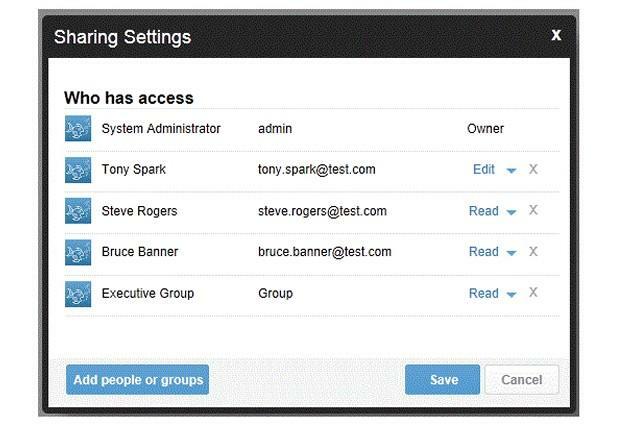 Read or Edit access can now be selectively granted, by the report creator, to specified users and/or groups. How is Edit different from Read Access? While Edit users have full report access, Read access users are not able to delete, edit or copy the designated reports. How does it affect other functionality? Broadcast and Distribute functions are disabled. Private Reports are not made available as a child co-display, and users cannot drill into the report to disclose the underlying detail. How do comments work on Private Reports? Users with access to a Private Report can participate selectively in a private message thread. The initiator of the thread invites those users, with private access to the report, that he believes to be appropriate for the conversation. How do Private Reports work on Public Dashboards? It’s business as usual as far as Private Reports on Public Dashboards are concerned – nothing has changed.